MADE IN THE USA, LEAD & NICKEL FREE!! W17305P - SMALL "FIRE DEPT." Made In The USA!! Lead & Nickel Free!! Pewter Tack Pin Says, "Fire Dept." 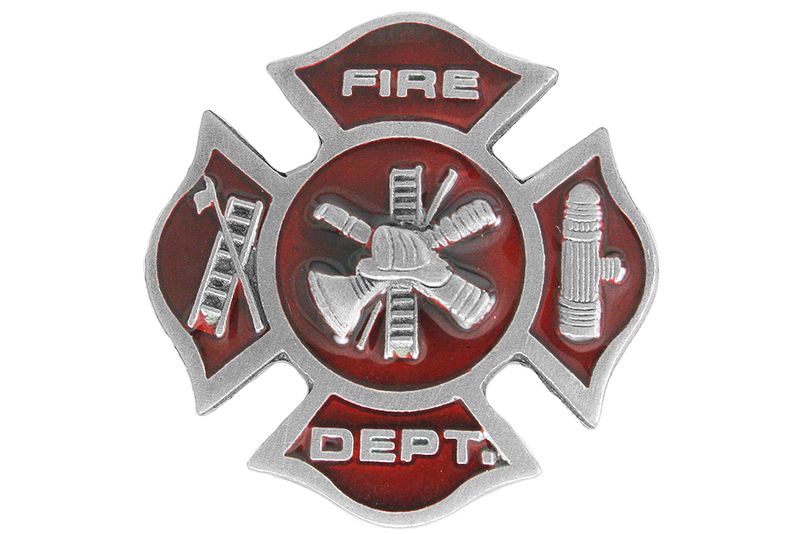 And Displays A Red Enamel-Filled Maltese Badge With Fire Fighting Tools. Picture Is Enlarged For Detail. Please See Measurements Below! Key Chain Measures 1" x 1".